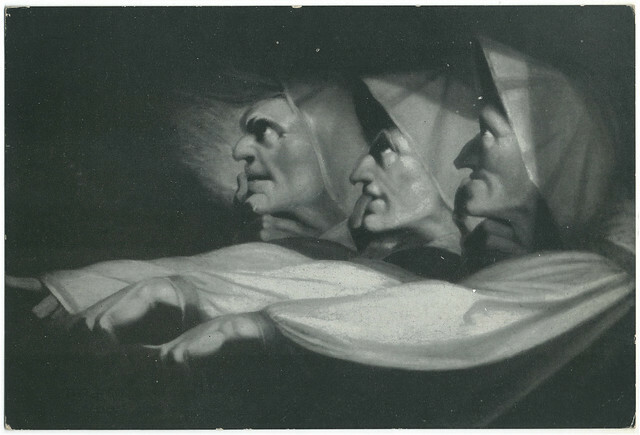 The “Weird Sisters” of Shakespeare’s play, with their beards, bizarre potions and rhymed dialogues, would easily make it to The Hall of Fame for witches. They are grotesque, symbols of temptation to evil and are indicative of the wicked influence of dark powers over mortal creatures. Macbeth possibly wouldn’t have killed King Duncan without the push given by the witches. And the usurper became King only to witness the irony of the prophecy made by the witches as Birnam Wood came to him and caused his ruin. In The Magician’s Nephew and The Lion, the Witch and the Wardrobe, we come across Jadis — the infamous white witch. Jadis was the one who forced Narnia into snow and ice for a century. While the witch is a fearsome creature in her own realm, her magic is of little use in other worlds. Like Medusa, Jadis can turn people to stone, though not by looking at them but by waving her wand. She is a breathtakingly beautiful woman, a powerful sorceress, highly arrogant, possesses superhuman strength and is a shrewd strategist. Though the white witch usurped power from the legitimate rulers of Narnia, her reign ended with The Winter Revolution. Tilda Swinton played the role of the White Witch in the Narnia films and won acclaim among fans and critics. A deformed and fearsome looking witch from the Russian folktales. She is known to be a hungry cannibal who flies around in a mortar. 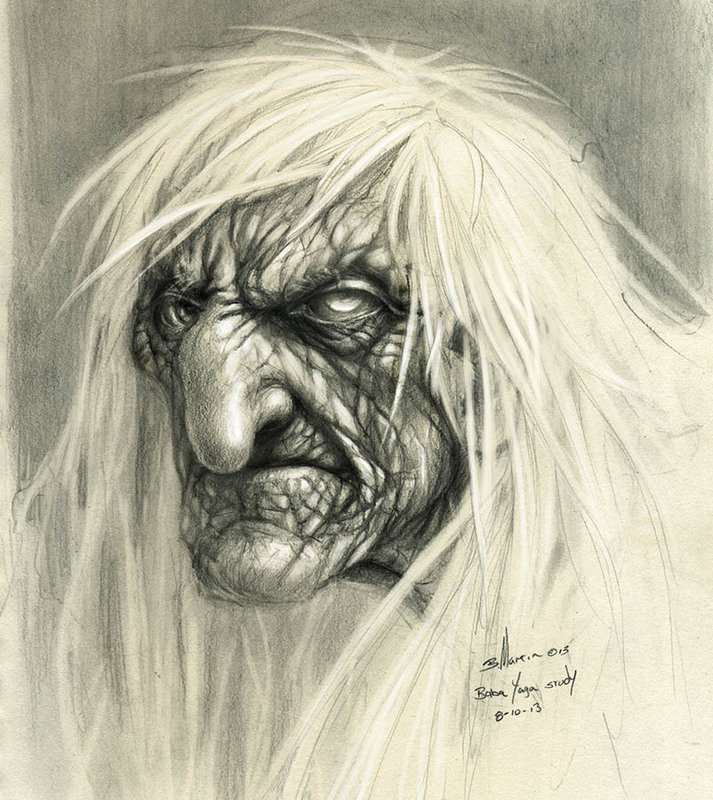 Baba Yaga is thin as a skeleton and has iron teeth. She lives in a forest in a hut that seems to be alive. It stands on its own legs, can spin/move around, and has a fence made of bones and skulls with blazing eyes. Baba Yaga’s servants include some mysterious and reticent horsemen and a pair of scary hands appearing out of nowhere. Though mostly portrayed as a terrifying and vengeful old witch, Baba Yaga can be helpful to some, especially to people with a pure heart. However, she is a wild force and can’t be tamed. The legend of the Bell Witch is a much disputed case. Brent Monahan, in his novel The Bell Witch: An American Haunting, claims that the book is based on true facts. It’s true that this is the only documented case in American history that deals with a spirit causing a man’s death. Old Kate or the Bell Witch was a terrifying and noisy spirit that tormented the Bell family in Tennessee. The witch gnawed as an invisible spirit at night and stood next to the sleeping people. She threw stones, slapped residents of the house and pulled a children across the floor by their hair. The strange events were witnessed by a local school teacher who recorded them. Mr. Monahan used the evidence to write this book. A truly spooky story of a spooky witch. 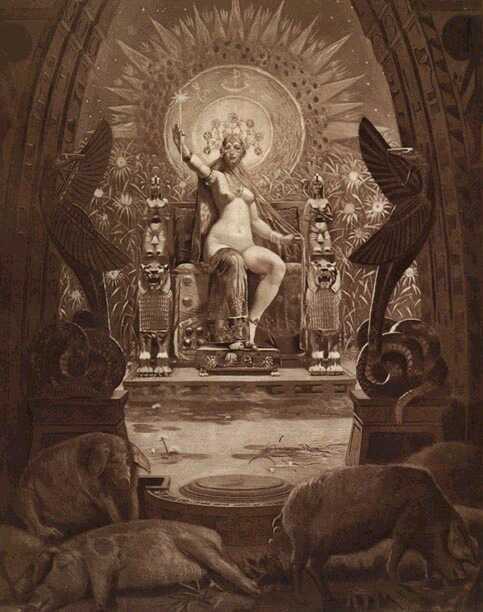 Circe was a witch and a goddess of magic in Greek mythology. She could transform people into animals using potions and her wand. 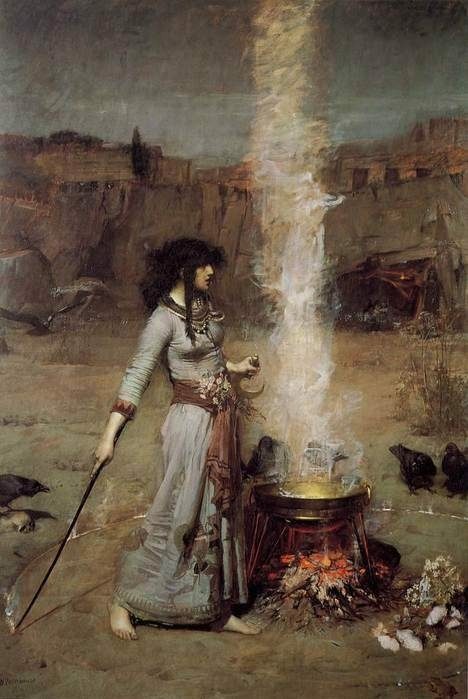 Circe appears in Homer’s The Odyssey, where she is described as a perilous witch who transformed Odysseus’ crew into swine using her enchanted wine and magical potions. Odysseus used the holy herb moly to protect himself against the tricks of Circe and set out to free his men. Circe tried to seduce him but Odysseus, warned by Hermes, didn’t fall for the scheming witch, who would rob him of his manhood. Eventually, Odysseus could free his men and Circe suggested him roads to Ithaca. If you were destined to encounter a witch (a literary one), who would you want it to be? 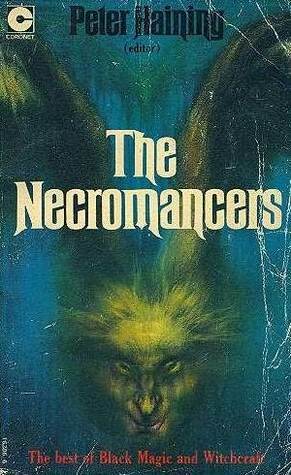 With The Necromancers, Peter Haining ventures yet again into the murky world of witchcraft and black magic. This book is a sensational combination of fact, fiction, and folklore. The facts are dubious at best, some are just plain silly (Aleister Crowley’s piece being one example). However, that does not downgrade the entertainment quotient of The Necromancers — one of Haining’s best efforts. This is the book that inspired Dennis Wheatley to come up with his essay “Satanism and Witches : Essays and Stories”. Robert Bloch – Beelzebub: A distracted writer haunted and eventually destroyed by a supernatural fly. Sax Rohmer – The Witch Finders: The author of Fu Manchu pursues witch finders across Europe. A non-fiction piece, as claimed by Haining. Anonymous – The Black Goat of Brandenberg: Satanists hope to learn the secrets of Germany’s lost treasure and in the process, offer human sacrifice to Lucifer. What happens next in this tantalizing drama? Robert Anthony (Anthony Rudd) – The Witch-Baiter: Mynheer van Ragevoort, who condemns witches, is abducted by the members of a secret society and exposed to unspeakable horror. 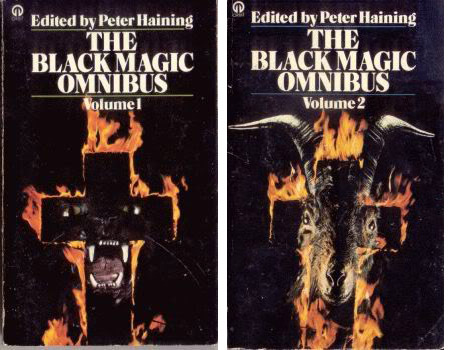 The Black Magic Omnibus, edited by Peter Haining, is an anthology of 29 stories, covering both fact and fiction. It attempts to interpret some famous black magic incidents and features people related to this dark practice. Haining’s selection is impressive, featuring acclaimed writers of the genre like Lovecraft and Shirley Jackson. A “must have” for horror fans, this out of print book is still available at ebay and Amazon in both single and double volume editions.